2001 Isla Vista Car Massacre: What do we recall and why? Little Acorn Park Memorial. Picture taken by Melody Judith Diaz on November 3, 2017. On the night of February 23, 2001 a horrific incident arose in the streets of Isla Vista. A UCSB student named David Attias was driving under the influence, ran over, and killed 4 students. 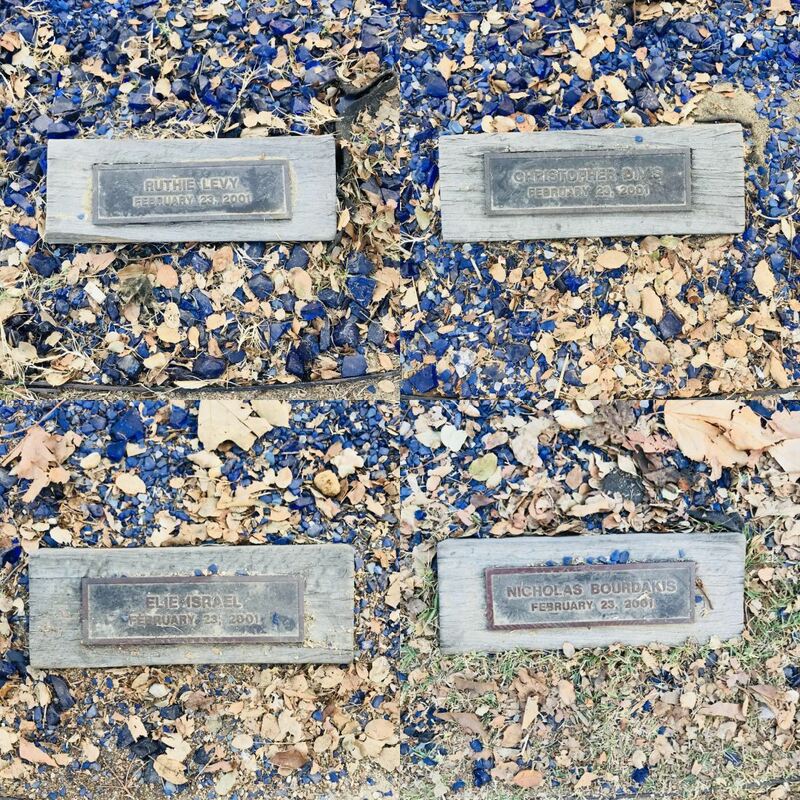 To remember these 4 victims a small memorial was built on the side of Little Acorn Park, on Sabado Tarde Road, closest to where this incident occurred. If you were to just be walking by it, you would not notice that it was a memorial. For example, UCSB student, Gaby Islas, said she “never noticed this thing until today.” Once walking up to it and seeing the names of the victims and their timelines, she recognized that it was a memorial. 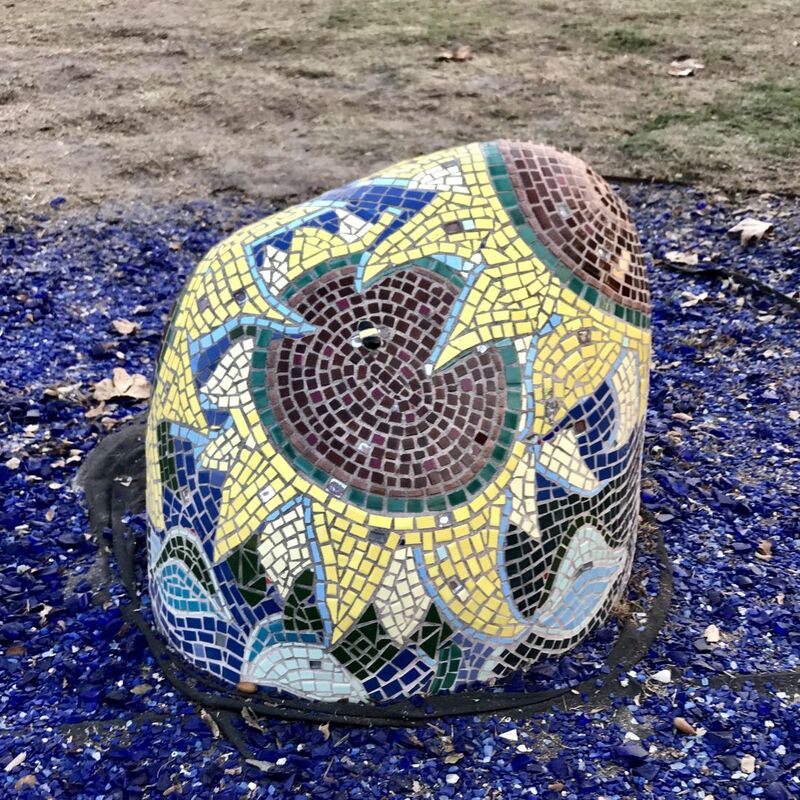 The memorial is in the shape of a circle with a mosaic rock right in the middle, surrounded by blue broken bits of plastic. Plaques for the victims. Picture taken by Melody Diaz on December 6, 2017. There are plaques for each of the victims around the outside of the circle. The names of the students who were killed are: Nicholas Bourdakis, Christopher Divis, Elie Israel, and Ruthie Levy. Albert Arthur Levy, who was related to Ruthie Levy, was another victim who was left in critical condition and has struggled for many years to get over that traumatic night. After this incident, the community of Isla Vista was very dark and in distress for quite some time. Because of that, the memorial was made to honor the innocent students and bring and uplift to the town, but to me this memorial has more meaning and remembrance built into it than it meets the eye. Mosaic Rock Close-Up. Photo taken by Melody Judith Diaz. November 3, 2017. People walk around and see how beautifully the rock glistens as the sun shines upon it . 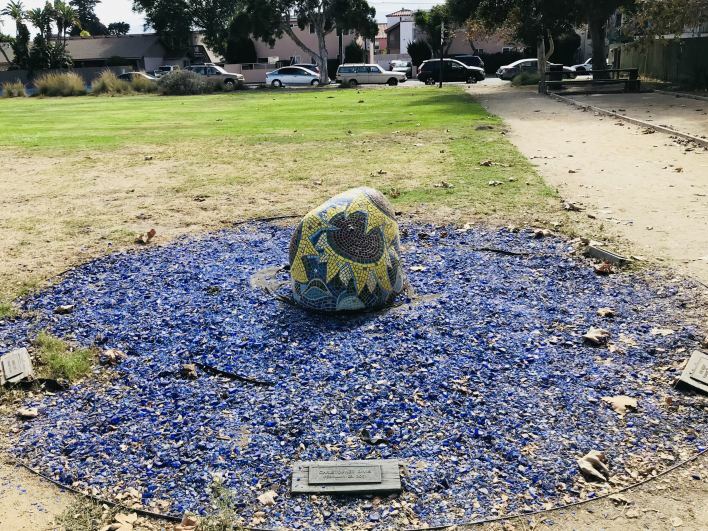 In the Daily Nexus article, writer, Angelina Ward, defines the memorial as the “mosaic-covered rock depicting vibrant sunflowers,” but within those sunflowers, and broken pieces of glass there is more meaning and something being asked to be remembered by this community. According to Telefora, sunflowers represent, “warmth and happiness, adoration and longevity,” showing how although the 4 students passed away, their memory continues to live in Isla vista’s heart. It also reminds people how even after this detriment, the town and the people in the community continue to prosper. An officer, who was interviewed in Santa Barbara Independent Newspaper, explained how “[The memorial] symbolized, to me, anyways, how fragile life is. Emergency respondents deal with it everyday, but college students became acutely aware at one instance [of] how fragile life is, and the value of friendship, and driving safety,” which also reminds us of a life lesson. It tells the community to stay safe and be aware of their actions and what consequences may come with poor choices. Blue broken pieces of plastic that surrounds the memorial. Picture by Melody Diaz. Taken on Dec. 6, 2017. 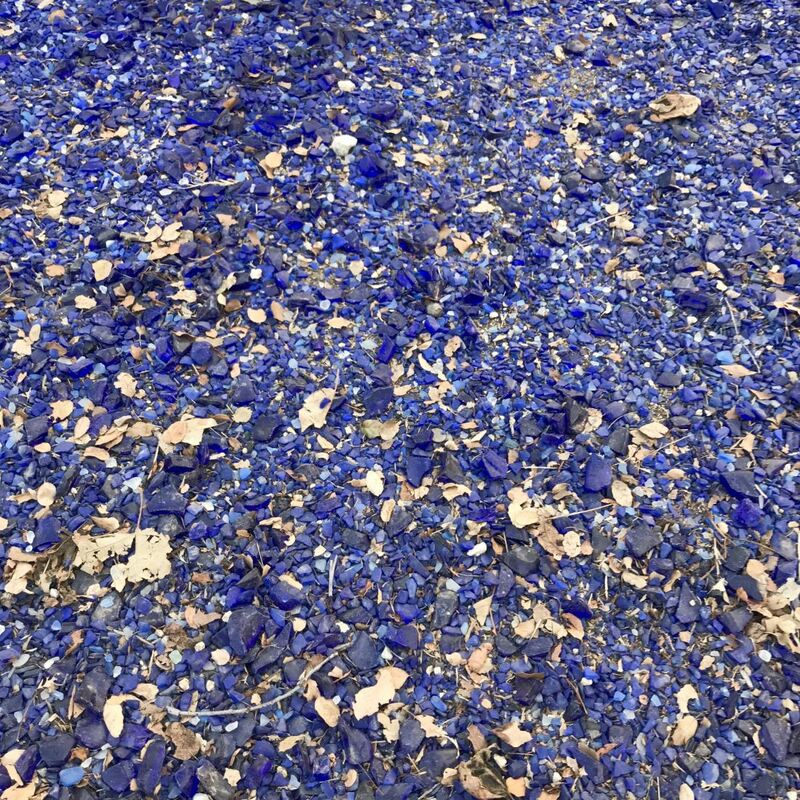 The broken glass on the ground represents the families broken that night. It can also represent the broken glass from the car after the incident occurred, but the way that it is in a ring figure highlights the circle of life. The color blue usually means sadness, which is the way most people felt that night. A closer look at the mosaic rock. Picture take on Dec. 6, 2017 by Melody Diaz. 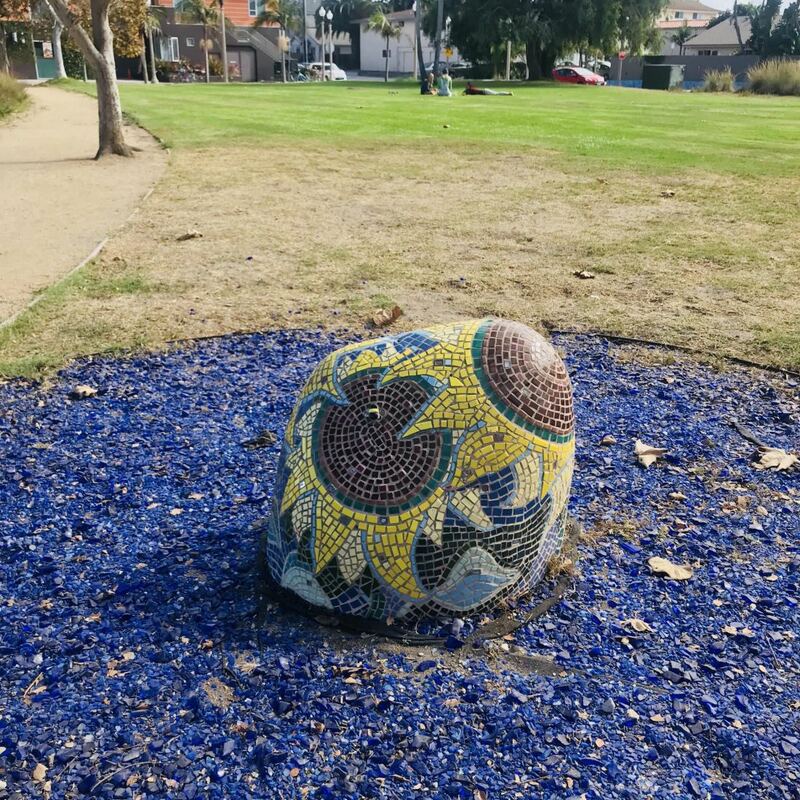 The mosaic rock is a visual representation of taking something broken and sticking it back together to make something beautiful. This reminds people that although that devastating event caused the town’s peace to break and people to pass away, we need to learn from that incident and make the community better. It shows the people to stay positive and keep going through hard times. Memorials don’t always catch a person’s eye, but this one usually does because of its vibrant features. It may remind people of that night, others may be reminded of the strong unity of the community, or a reminder of the families and friends that were hurt that day. But mostly it allows people to recall this event and the things the memorial wants to ignite in our memory. The whole meaning of this memorial is to show that contentment continues to storm the streets in the community of Isla Vista. Although some harm may enter the town, they are always reminded that their unity is strong enough to keep from falling apart.